Nearly everyone has tissue connecting their upper lip to the gums above the upper front teeth, and tissue connecting the tongue to the floor of the mouth. This tissue varies in degree from thin to thick, wide to narrow. The simple presence of this tissue in the mouth does NOT necessarily mean that a baby is “tongue tied” or “lip tied.” What does indicate a “tie,” however, is the presence of symptoms, combined with the appearance of the tongue or lip. Laser lip and tongue tie release, or “revision,” can help some babies have the full range of lip and tongue mobility that they require to properly nurse or use a bottle. Revision of the tie is only a small part of the total solution to enhancing the nursing experience. Several other professionals can be involved in the process, most notably an International Board Certified Lactation Consultant (IBCLC). Benefits to laser lip and tongue tie revision in babies can include improved infant weight gain; a happier, more content baby; a more confident, relaxed mother; and a better overall nursing experience. Symptoms of a tongue or lip tie may occur in both mother and baby. Some symptoms that a baby may be tongue or lip-tied include one or more of the following, although some of these symptoms may not necessarily be related to a lip or tongue restriction. We will work with you, your pediatrician, and your lactation consultant to formulate an appropriate plan of care that is unique to your baby. We are only a part of the overall team that should guide you and your baby to achieve a more positive feeding relationship. For the best success, you must follow up on a regular basis with an International Board Certified Lactation Consultant (IBCLC). We can help connect you with an IBCLC in your area if you are in need of one. Promotion of safe and appropriate surgery continues to be at the forefront of our philosophy. In light of this, Dr. Virts has undergone extensive training in the use of laser and tongue ties, and continues to stay current with treatment modalities and options for care. As the CO2 laser tongue and lip tie procedure evolves within our practice, we continue to refine our policies surrounding the service. These policies allow our practice to offer the highest quality of care possible to this vulnerable population and permit conservative, safe surgery after all other non-surgical treatment modalities have been exhausted. We keep the safety of all of our patients paramount. Prior to seeing any baby for a tongue or lip tie consultation appointment, we require a written referral from a physician, PA, dentist, lactation consultant, chiropractor, nurse practitioner, or certified nurse midwife. This referral aids our team in confirming a diagnosis and formulating a proper treatment plan. Prior to the surgery appointment, we require two items to ensure your child’s safety: 1) that your baby has been given Vitamin K to prevent serious bleeding complications; and 2) your child has been seen by a physician. Your family must also be working with a lactation consultant throughout care, especially post-operatively, as this significantly increases the chances of a successful outcome. Surgery alone is not enough to obtain the best end result. Babies are not to be given any herbal or homeopathic pain medications prior to surgery or during the healing period unless specifically prescribed by a physician. 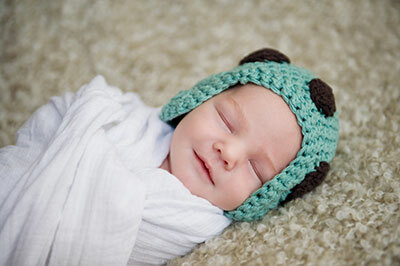 We will make every effort to see your baby for a consultation as soon as possible. Unless a documented urgency exists and is relayed to us by one of the aforementioned medical providers, the consultation and treatment are usually planned for separate days. However, if we determine that the procedure is necessary, we schedule this as soon as possible after the consultation. An office visit at no charge is scheduled for one week and again at three months post-operatively to evaluate healing. For your baby’s optimal care and healing, Mt. Airy Children’s Dental Associates uses a LightScalpel Carbon Dioxide (CO2) Laser for infant soft tissue surgery. Our CO2 laser uses light energy (not a blade or hot tip) to gently and meticulously release the tongue and/or lip tie that is keeping your baby from feeding properly. Surgery with the CO2 laser heals rapidly, and your baby will require less pain medication afterwards. You are always invited to be present in the private room during treatment. This allows for full, open communication between you and our team. We encourage both parents to be present during both the consultation appointment and the actual procedure. 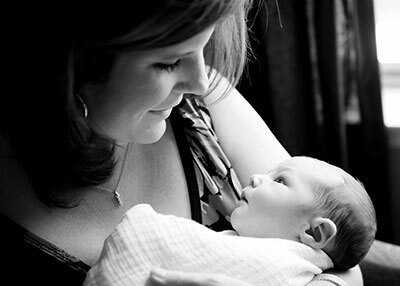 If another parent is unable to come to the appointments, we ask that a second adult accompany you and your baby. The short procedure is done on a pillow in the parent’s lap, in one of our private rooms. Everyone in the room, including your baby, will wear protective glasses. 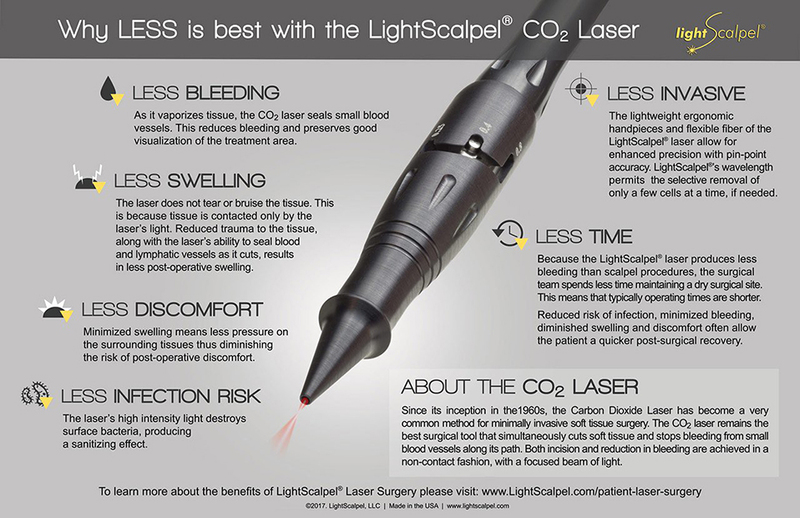 Because a CO2 laser is used, bleeding during the procedure will either not occur at all, or be very minimal. No stitches are placed. You will be given a great deal of time immediately afterwards to privately feed your baby. We keep nursing pillows and a stocked changing table for your use as well. We will educate your family on the necessary daily massaging stretches to perform in the area(s) for approximately four weeks following surgery. We will demonstrate these exercises to you and make sure you feel comfortable doing them with your baby prior to leaving our office. For your baby’s comfort, we suggest that you begin the stretches 24 hours after surgery. These stretches should continue five times a day for the first three weeks, and then tapering day by day during the fourth week. Please be gentle with your baby while he or she heals. Minor bleeding during the stretches, especially at first, is normal. It is expected for your infant to have some mild discomfort and swelling in the treated area(s) afterward, but most of the discomfort usually wears off after the first 24 hours. Nursing is the best way to help your baby, and some parents also choose to give their baby acetaminophen (Tylenol) if FIRST approved by their physician. The Food and Drug Administration has recently advised that homeopathic or other teething gels or “teething tablets” should not be used because of safety concerns. It is extremely important that, before giving your baby any new medication, you check with your pediatrician FIRST in order to ensure your baby’s safety. A small wound will exist for several days. There will be a dark yellow appearance to the area for the first few days. A yellowish film will then form within 48 hours. Think of it as a scab that has become wet, such as while swimming. We will follow up with you on a regular basis via phone to ensure that you and your baby are safe, comfortable, and happy with your new nursing experience. We will also ensure that you are working with a lactation consultant, as successful outcomes are more likely when the lactation consultant is highly involved with aftercare. If your baby experiences a concerning level of pain, swelling, or discharge from the surgical site, or you have ANY other concerns, we insist that you call us immediately. We will re-assess the surgical area(s) at a week’s time and also at three months after the initial procedure. This allows us to ensure that your baby is healing normally, and any questions or concerns you may have may be promptly addressed. Some older children and adolescents have a tongue restriction (ankyloglossia) that may be contributing to speech problems. If identified by a speech/language pathologist and/or physician, the condition is usually treatable quite easily with our CO2 laser. The procedure is gently performed with local anesthesia in the office setting. Patients who have this treatment must follow up with their speech/language pathologist after treatment to ensure a proper outcome. Please contact our office if a tongue-tie is suspected to be the cause of speech problems for your child.